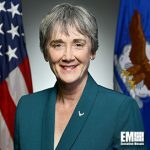 Air Force Secretary Heather Wilson has said the service branch would decide by the end of this month whether to pursue or cancel the Joint Surveillance Target Attack Radar System recapitalization program, Defense News reported Thursday. Wilson said Thursday at a Center for Strategic and International Studies event the service is set to finalize a “rapid assessment” to help determine whether legacy aircraft, sensors and other existing platforms can be used to carry out ground surveillance and command and control missions. 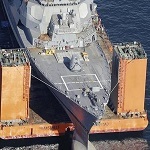 “We should be able to make a rapid assessment and a decision so that we can explain to the secretary of defense through the budget process, as well as the other branch of government [Congress] what we think is the best thing to do and lay that out for them,” she added. Northrop Grumman, Boeing and Lockheed Martin have submitted bids for the JSTARS recap program that seeks to replace the Air Force’s fleet of E-8C aircraft. Raytheon and Northrop also compete to develop the radar for the JSTARS replacement aircraft, the report added.